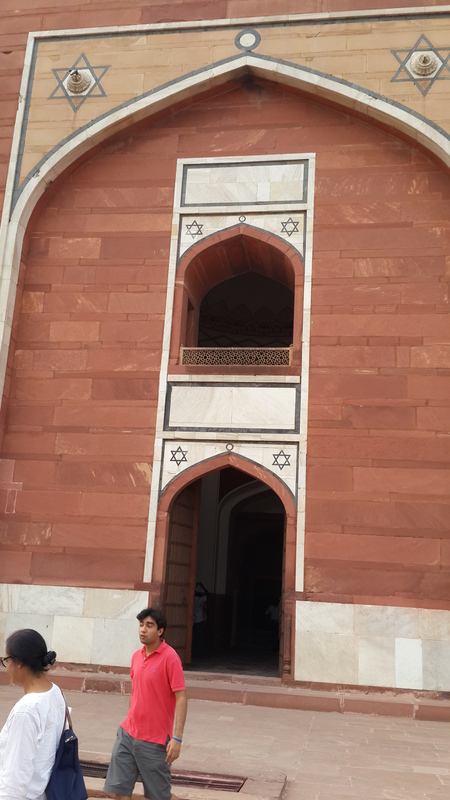 Visiting Mughal Emperor Humayun’s tomb in Delhi, I was surprised to see the six-pointed star of David adorn the entrance to the West gateway. 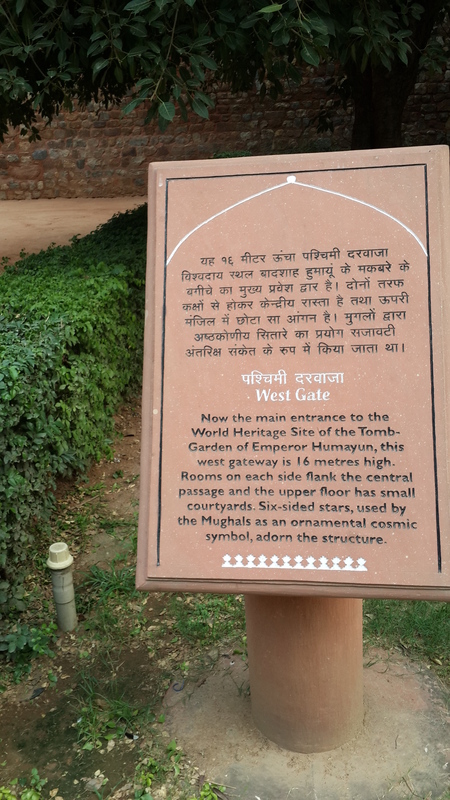 The tomb was built by Humayun’s son, Akbar the Great, in memory of his father six years after the latter’s death. Akbar was known to be a wise ruler who was religiously tolerant and looked on all faiths as equally valid interpretations of the same divinity. I assumed that the stars above the tomb were an early expression of mutual Jewish-Muslim tolerance and understanding. The stone tablet outside the gate dispels this notion (see the second photograph below). Wikipedia says that the star became a symbol of Jewish communities only during the 19th century and the symbol was inherited from medieval Arabic literature by Kabbalists for use in talismanic protective amulets. Far too long! The world needs more Akbars and Yitzhak Rabins with the courage to make peace and perhaps even die for it.